By using the high specification HG press brake as their base, the HG AR range of automated bending cells are particularly flexible. Equipped with user friendly control technologies and offering high precision operation with fast processing speeds. 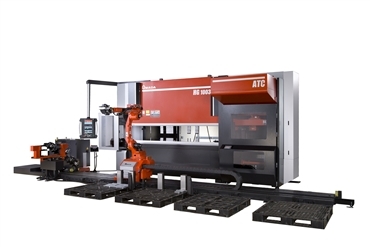 The HG-1003ARs offers innovative automated bending solutions to improve efficiency and open the door to new business markets.